In today's world, marketing is very competitive in every field, but we, as marketers always look for better ways to provide the “value add” to our clients. Business in real estate is also quite competitive, mainly because businesses have gone online. Almost every buyer begins the search from the internet, but nowadays every commercial includes a video taken from a drone of the real estate property. There is much more to drones that just capturing panoramic videos or images. New generation drones are coupled with GPS, autopilot facilities, data processing applications, distance sensing and flight path planning software. This bigger picture of the property has been possible with the changes in Federal Aviation Administration flight rules. Let us understand, how we can achieve much more than simple videos and what possibilities lie in the era of marketing with Drone Technology. While 2015 was mostly a year of high-end marketing experiments, in 2016-17, it seems that every level of the market is beginning to experiment with drone-based photography. So how do real estate agents and brokers benefit from using camera drones in their marketing, in the real world? Let's take a look. Drones come handy with software that are capable of post processing and mapping features that calculate site specifications of length, height, area, and volumes. This cuts a lot of money and effort on ground surveys. Also, a terrain surface view is generated which lets one calculate and measure slopes, aspect, measure cut and fill volumes. Drones are also capable of detecting hidden landscape features which are not visible to the naked eye due to vegetation, streams, ducts, etc. Drones provide high resolutions images of Ariel surveys when compared to satellite images. For better pictures, the complex software brings panoramic images together and produce 3D data sets for immersive visualization and powerful analytics. This gives flexibility of 3D images which lets viewer to scan around the model and explore every angle of it like in 3D video games. Moreover, the same data can be produced in 2D imaging format, by superimposing the pictures and allowing organizations to get an accurate view of the real world on demand. For real estate security, though organizations rely greatly on human security, however, drones can be more vigilant in these terms. They can provide security in any weather conditions, remote areas, be 24X7 on patrol, provide coverage in dark and can highlight potential security breaches. With indoor drones, well, it is more or less like in movies! Smaller drones give a 360-degree monitoring and cover areas where security cameras are blind eyed. 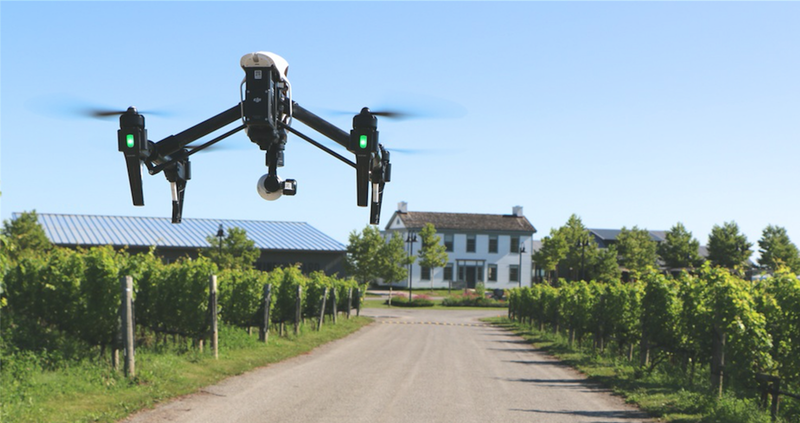 Well, using drones is a cost-effective, time-efficient way to market your property to clients who aren’t able to come in and see it in person. In conclusion, drone technology bids a remarkable opportunity for the business of real estate and the larger economy.